“I have been more than pleased with all aspects of the Kolstein Violin rosin. It offers extremely low powdering, even adherence to the bow hair and a wonderful playing quality. Whether you play bass, cello, viola or violin… we have a rosin that will fit your needs. 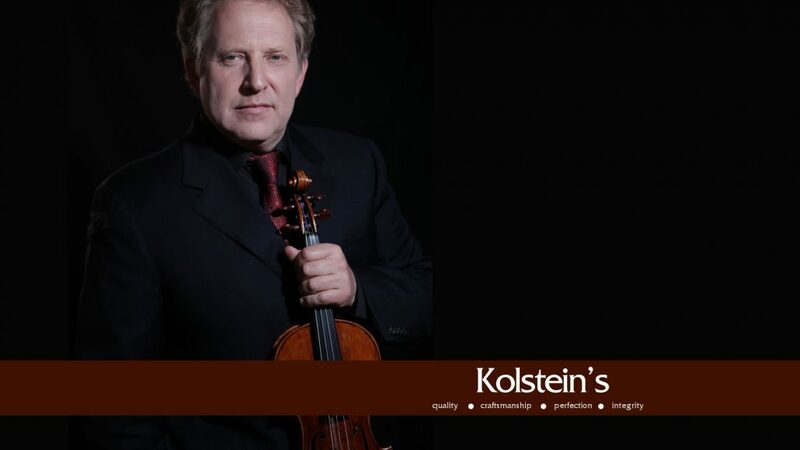 You can browse our selection of rosin here on our site, or visit kolsteinrosin.com to read more testimonials. Born in Moscow in 1957, he immigrated to Israel and studied the violin with Ilona Feher. At the age of 11, he made his concert debut with the Israel Philharmonic Orchestra and at the age of 16 he made his debut in Carnegie Hall with the Pittsburgh Symphony Orchestra, under the patronage of Isaac Stern. Since then he is a celebrated guest with orchestras and conductors on the international music scene, and has appeared with historical musicians like Sergiu Celibidache, Pablo Casals, Eugene Ormandy, Claudio Abbado, Lorin Maazel, Mistislav Rosptropovich and Carlo Maria Giulini. In the 2012/2013 Season, he celebrated his 50th anniversary with the National Orchestra of France in a special concert at the Champs Elysées Theatre as a conductor and a soloist. Mintz is also a co-founder of Violins of Hope, a project that aims to promote peace through music.